Beware! Royal Trade is an offshore broker! Your investment may be at risk. 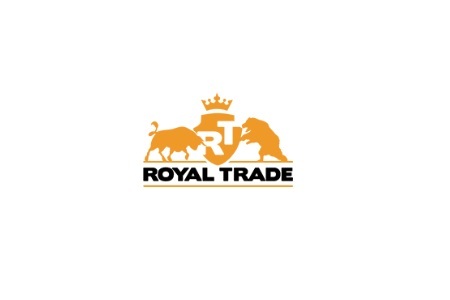 Royal Trade is a unregulated broker offering four account types with a leverage of up to 1:500 and a web base trading platform. When we tasted their trading platform with a demo account, honestly we were not especially impressed by the spreads, which started at about 1,9 pips – 2 pips. Bear in mind that spreads are generally considered attractive only if the start below 1,5 pips. And although the broker claims to be offering a good variety of forex pairs and CFDs on commodities, indices and crypto coins, on their trading platform we counted just 23 major forex pairs and two CFDs – on gold and silver. That, however, is not our major issue with the broker, but rather the uncertainty about their regulatory status. The Royal Trade website and all account payments are operated by PayPeq Holdings OÜ, which is based in Estonia. Unfortunately they are not licensed to provide financial services neither in Europe nor on any other regulated market like the UK, USA, Canada, Australia or Japan and that does not speak well about the credibility of the broker. The trouble of trading with unregulated brokers is that the safety of your funds depends entirely on the integrity of the people who run them. Unfortunately far too often such websites are involved in scam, so our best advise is to avoid them altogether and to trade only with legit brokers, authorized by well known regulatory institutions such as the Cyprus Securities and Exchange Commission (CySEC), the Australian Securities and Investments Commission (ASIC), or the Financial Conduct Authority (FCA) in the UK. Besides, among other benefits, by trading with a FCA broker for example your funds will even be insured for up to 85 000 GBP. At Royal Trade you can pay with VISA and MasterCard, bank wire and VLoad. The minimum deposit requirement is set at 200 USD, but bear in mind that Royal Trade will charge you 4% commission fee on any withdraw amount you request and that we should note is highly unusual. Also, be aware of any trading bonuses that Royal Trade may offer you, because all such bonuses are always linked to some special withdraw conditions – namely minimum trade volume requirements, which too often prove almost impossible to fulfill. More and more often in the past few years scammers tend to use the Internet and especially some of the social networks like Instagram and Facebook. There you will happen to follow a link, which will lead you to one of the so called robo scam web sites like Crypto Revolt and Bitcoin Evolution – pages that are designed to hook gullible investors with some too – good – to – be – true offer for fast and easy returns in exchange of a tiny investment. And all you will have to do in the beginning is just leave your e-mail and phone. Then, after filling the simple registration form, instantly you will be transferred to the web page of a unregulated, offshore broker, where you will have to make an initial deposit of about 250 USD. And your first trades will be amazingly successful, almost doubling your 250 USD in just a few days. That, however will be simply a part of the scam. Your account will be manipulated so that latter you will be more easily persuaded to invest a larger amount. And about the same time you will start receiving phone calls as well. It will be “your senior account manager”, who will basically try to convince you, that if you want to make some real cash you will definitely have to invest more – at least 10 000 USD. And at that point most people do invest that kind of money without realizing they have been scammed until the very moment they decide to withdraw some of their funds. Then, all of a sudden it turns out they are not allowed to withdraw, because of some minimum trade volume requirement, possibly linked to the welcoming bonus they have so gladly accepted. Of course the excuse might be different, but the result will always be the same – scammers will not return a single penny back. The best chance you have to get your deposit back is to file for a charge back with your credit card company. The good news here is that recently both VISA and MasterCard extended the maximum period in which you will be allowed to do that to 540 days. And if by any means scammers have managed to get to your banking details like credit card numbers or online banking password, immediately change your password and block your credit cards. If scammers have tricked you to install Team Viewer, delete the program immediately. And finally, if you do not want to be scammed a second time, do not accept the offers of the so called recovery agencies. They will not recover you any money, but will simply charge you some fee in advance and basically that will be the end of the story.